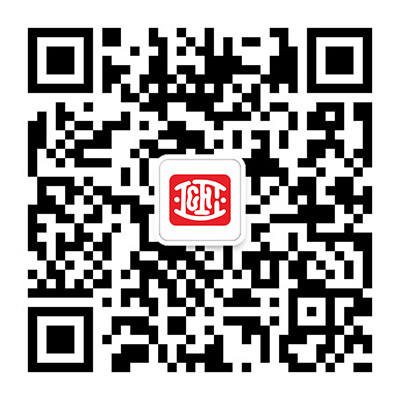 Li & Fung creates customized, end-to-end supply chain and logistics solutions for brands and retailers worldwide. What sets us apart is our high degree of flexibility and scalability which is unrivaled in our industry. 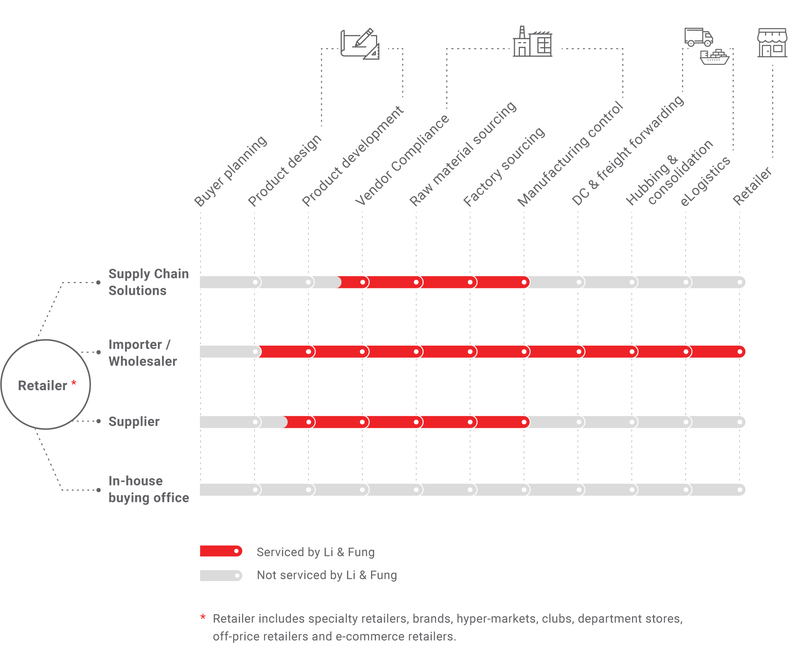 Millions of consumer goods pass through Li & Fung’s supply chain every year. 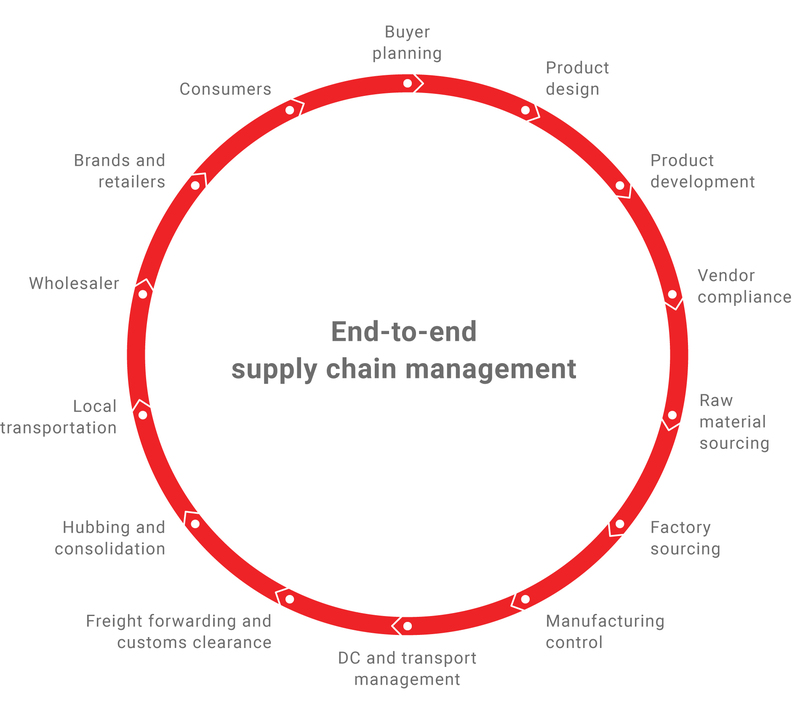 For that to happen, our global supply chain connects thousands of suppliers and vendors with leading brands and retailers, all with the goal of meeting consumer demand. Starting with product design and development and including everything from compliance to raw material and factory sourcing, manufacturing control, logistics, and more, we offer end-to-end services for all stakeholders in the consumer goods supply chain. Our offices and teams are based in all key production markets, giving us the expertise and extensive network of supply chain partners needed to meet the diverse needs of our global customers. The retail industry is undergoing massive change and disruption and this has resulted in a transformational change to traditional supply chain management. At Li & Fung, we’re building a digital supply chain with innovative services and solutions to help our customers and suppliers navigate the digital economy. A fully digital global supply chain will enable us to be a catalyst for change, delivering data-driven insights for faster, smarter business decisions. Our interactive digital platform links all stakeholders, enabling speed and innovation as never before. We offer the flexibility for our customers to choose from a number of different business models (including that of an agent, importer, wholesaler or supplier). This unique model enables us to work with any type of customer from luxury brands to hypermarkets, whether they sell online, offline or multi-channel, and under any type of partnership. From apparel, general merchandise and home, to accessories and footwear, at the heart of our business is a passion to create beautiful products that enhance the lives and experiences of consumers around the world. We partner with our suppliers to focus on capacity building enabling them to better manage their factories, introducing greater efficiency and supporting our suppliers to improve factory working conditions to meet ever-changing industry expectations, for the benefit of workers, and all industry participants. Our suppliers are in all key production markets around the world allowing us to flexibly move production across markets, balance capacity constraints and better meet customer needs. You can read more on our Supplier section. The business structure of Li & Fung is designed to meet our customers changing needs. It currently includes two segments: Services and Products. Services comprises supply chain solutions and logistics solutions and the products segment comprises onshore wholesale businesses in Europe, Americas and Asia. While we maintain our core sourcing services, we have moved beyond the traditional role of a sourcing agency and are creating collaborative digital platforms for all of our supply chain partners – connecting our customers and suppliers as never before. By providing a complete circle of component solutions, through our materials platform, 3D design platform, vendor platform and production platform, we are creating the supply chains of the future, deliver speed, innovation and profitability. Visit our Supply Chain Solutions section to learn more. We are a leading logistics services provider specializing in key verticals of footwear and apparel, fast-moving consumer goods, food and beverage, healthcare and electronics. Through in-country logistics and global freight management, we provide holistic, integrated solutions spanning the time the product leaves the factory to when it reaches the hands of the end-consumer. Our knowledge and network along the entire global supply chain and retail industry gives us unique insight into creating long-term collaborative solutions for our customers. We’re not just about moving things from one place to another. We analyze each customer’s needs, anticipate challenges, design options and set up contingency plans so our customers never have to worry about the journey. Visit LF Logistics to learn more. Our onshore wholesale business includes teams in the Americas, Europe and Asia and covers a vast product range including ladies, men’s and children’s fashion, home and hard goods, promotional items, fireworks and seasonal celebration items. The common thread across all our product teams is the commitment to creativity, innovation and design. Visit LF Americas and LF Europe to learn more. You can read more about what we do and how we connect the supply chain to bring our customers the goods they rely on every day.